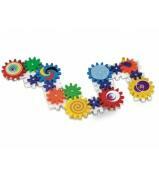 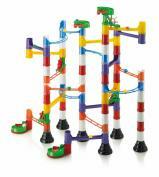 A new game of building blocks to create incredible marble tracks. 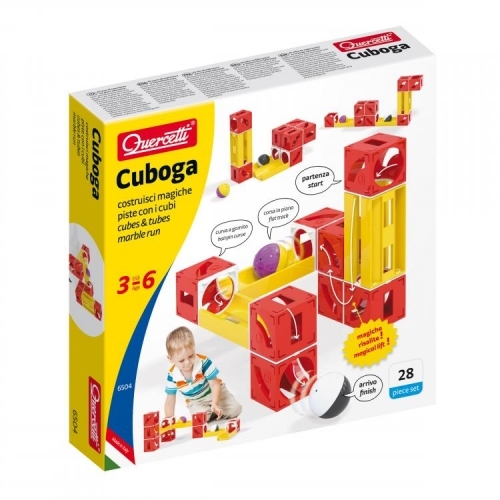 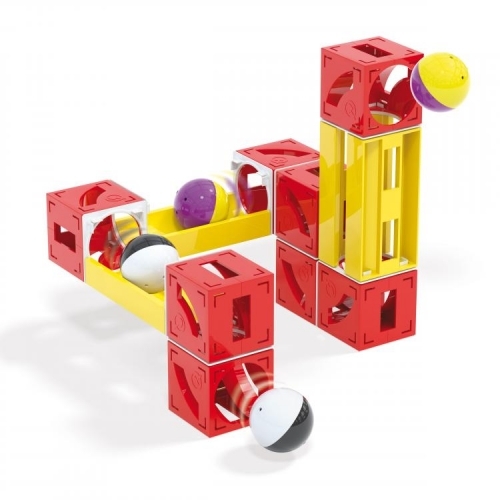 With Cuboga the marbles run flat along the tracks or even upwards thanks to the special internal design of the cubes which push the marbles forward and magically increase their speed. 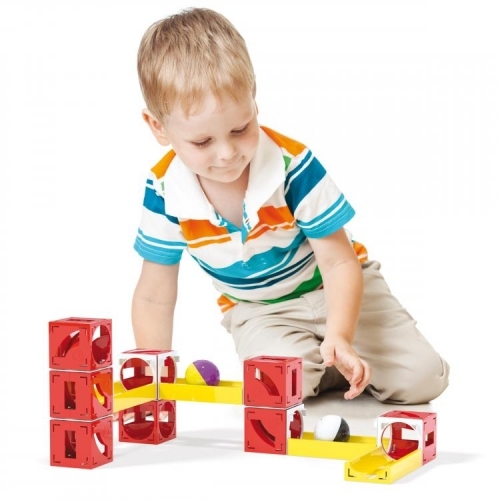 It is fun and creative to build surprising suspended tracks by connecting cubes to straight tracks in a thousand different combinations until you find the right one that makes the marble run along the track without stopping. 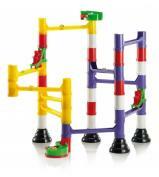 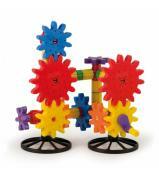 The very carefully conceived design and the high quality of the materials used ensure hours of safe play.